A lot of you have been following along with my experiences with IIFYM, or “flexible dieting” on on a vegan diet. Things have been going really well and I’ve been seeing slow and steady results thanks to consistently hitting my numbers day after day. It’s been about 4 months since I started vegan macros and although I took time off tracking accurately over the summer, I’d have to say, eating this way has completely changed not only how I eat, but how I think about food. 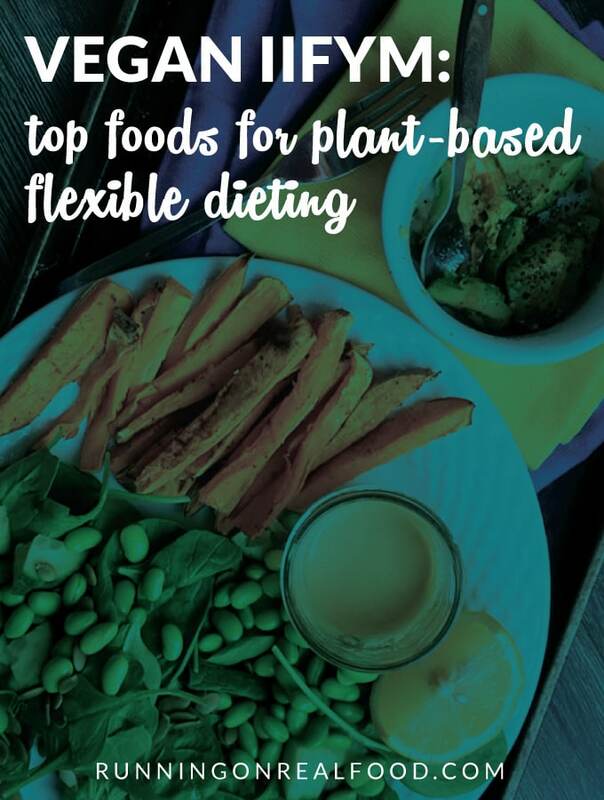 Today I’m checking in with more top foods for plant-based flexible dieting. If you missed my first two posts on vegan macros, you can read my experiences after week one here and week two here. Today I wanted to share some of the foods that are helping me reach my goals. 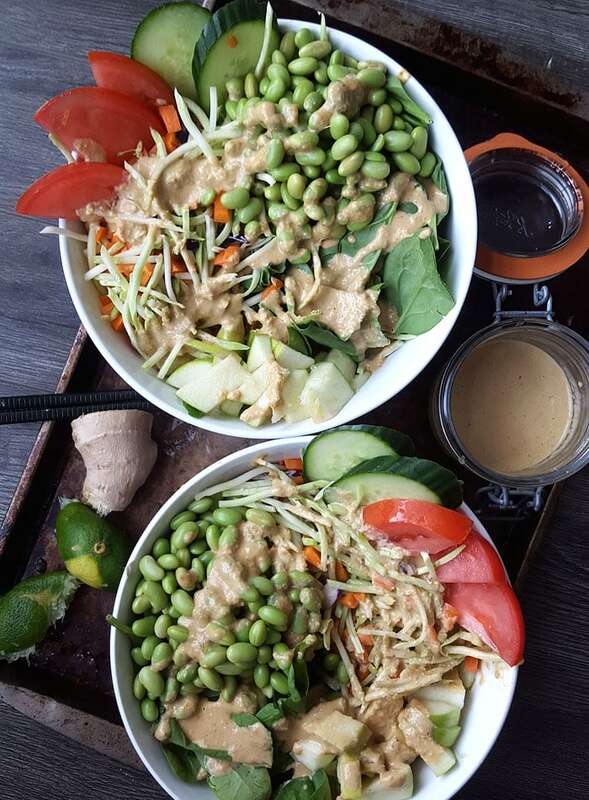 If you go back and read the first two posts in this series, you’ll see that with a little effort, reaching macro goals on a plant-based diet it completely doable and even enjoyable. This all started as I slowly became more and more dedicated to CrossFit. Back in January of 2015, with some big goals in sight, my commitment, consistency and drive to improve completely changed. Last year, if I didn’t feel like training one day, or was too sore, or too tired, or had something else to do, I just wouldn’t go. I was still training 5-6 days a week but missed days here and there as wasn’t doing anywhere near the volume I am now. This year, I’m 100% committed to my training and 100% in love with the process. I’m seeing results, getting stronger, making huge improvements, loving training day in and day out and with the change in diet, starting to see some real changes in my body. While changing my appearance wasn’t at the root of a change in diet, it’s pretty cool to see the reflection of the hard work I’ve been putting in. Since the beginning of the year, I’ve very slowly lost almost 15 lbs. and while weight loss was never my initial goal, it still feels good to be lighter, leaner and a whole lot stronger. The nice thing is, I’m not in a rush and since improving performance is the goal, any weight loss is really just a bonus! I actually want any weight loss to be very slow so I can be sure I’m not losing any muscle or sacrificing performance along the way. I’ve been getting a lot of questions about how you can make flexible dieting on a plant-based diet work for you. I’m not gonna lie, it takes some work and planning and I don’t think I could do it without protein supplements, other than that, I’m eating close to 100% whole foods and maintaining a healthy, balanced diet while allowing for treats and my favourite foods on occasion. Here are some of the foods I’ve using to help me reach a 45C/35P/25F macronutrient split. I love MCT oil as a source of fat in my diet. I like to add 1 tsp of it to my morning pre-workout coffee to get my rockin’ for the day! Other oils I use include coconut and olive. One of the simplest, easiest to eat, most portable and versatile, nutrient-dense, fat-free form of carbohydrates you can get. Plus they’re always a nice, sweet treat. I eat at least one per day. Try these 10 ideas for banana snacks and desserts. You’ve also gotta try my flourless protein brownies made with banana! I love nutritional yeast for it’s flavour and the B vitamins it contains. Nutritional yeast is a complete protein, meaning that among the 18 amino acids it contains are the nine essential ones that your body cannot produce. Nutritional yeast also provides the compounds beta-1,3 glucan, trehalose, mannan and glutathione, which are associated with enhanced immunity, reduced cholesterol levels and cancer prevention. You also get a significant dose of the minerals iron, selenium and zinc when you consume nutritional yeast and one serving contains about 4 g of fibre. I add it to pasta, into desserts, smoothies, sprinkle it on salads and use it to make sauces. I eat tempeh probably 3-4 times a week. I didn’t eat a lot of it before but it’s such a good source of protein in a vegan diet that I added it to my weekly rotation as an alternative to tofu. Although a little higher in calories, tempeh is less processed than tofu, and it’s healthier in general because it contains more protein and fiber. If you’ve never tried tempeh, you can find it at most health food or well-stocked grocery stores. Incorporate it in to your recipes by crumbling it up and adding it to soups, salads, casseroles, or pasta sauces. Tempeh adds a chewy consistency to your dishes along with extra protein and fiber. I also like to bake or dry-fry marinated tempeh until extra crispy and add the strips to salads or sandwiches. It’s so good! A low-calorie, low-carb, healthy and delicious alternative to rice. Simply great a head of cauliflower and use it anywhere you would rice! I’m not sure I could stick to macros without powdered peanut butter. Powdered peanut butter can be mixed with water to create a low-fat peanut butter spread or used in all sorts of recipes, oats, smoothies and sauces. One serving of powdered peanut butter has just 45 calories so while it’s definitely not the real thing, it’s a great alternative for peanut butter lovers! I love both regular powdered peanut butter and the chocolate kind! So, protein powder. Honestly, I couldn’t get the amount of protein I’m aiming for without it, not without consuming way to many carbs and fat anyways. I do my best to stick to the cleanest, most whole-food based protein supplements I can find. This means I use a lot of plain organic brown rice protein, organic hemp protein as well as a few other plant-based products. I use Vega Performance Protein as my go-to for smoothies, recipes, protein oats, after workouts and protein pudding. Wonderful, clean, healthy, vitamin-rich, pure carbohydrates. My favourite way to use potatoes and sweet potato is to make oil-free oven baked fries. Simply cut your potato into wedges, season and bake until crispy. If using potato versus sweet potato, I’d recommend boiling them for a few minutes first before baking. 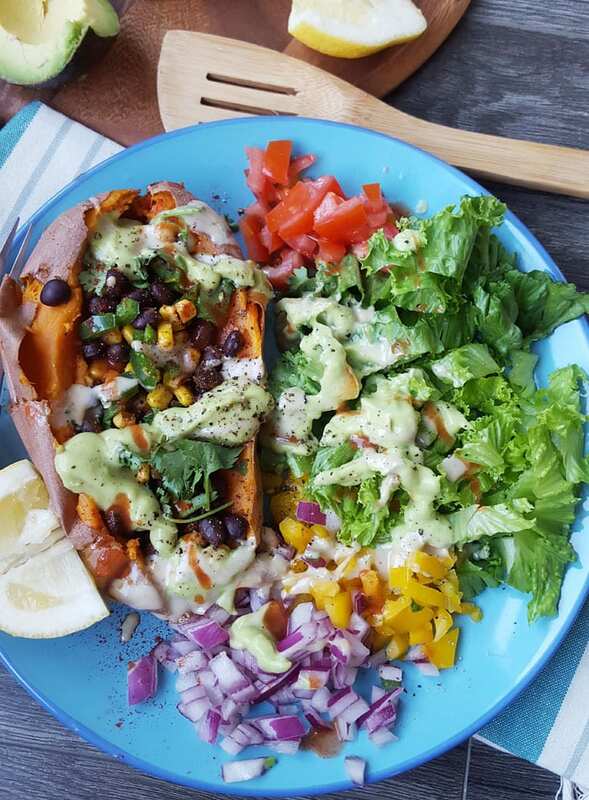 I also love simply baked sweet potatoes, I usually throw a few in the oven on sundays so they’re ready for the week. You don’t really need to add anything to them because they’re so delicious on their own! They’re also amazing for Sweet Potato Breakfast Bowls! You’ll want to stock up on all the raw veggies you can get your hands on. They’re your best bet for creating filling yet low-calorie meals that fit your macros. I eat at least one huge salad a day and not only does it fill me up but I get in a ton of micronutrients at the same time. I’d particularly recommend focusing on those dark leafy greens for the whack of micronutrients they provide! Other than that, eat the rainbow and you’re all set! Dijon mustard is my favourite condiment for making low-calorie, low-fat, flavourful sauces and dressings. Your new best friends! Stock up on tons of different herbs and spices to keep your meals flavourful and interesting and provide variety, all the while reducing the amount of salt you need. I also add onion and garlic to pretty much everything, they’re high in all sorts of antioxidants and are a great addition to any diet. Again, spice up your dishes with these low-cal, low-fat options! Spirulina is one of the most nutritious food sources there is, noted for having the highest percentage of protein by weight of any food on the planet. In addition, the protein it contains is highly digestible, bioavailable and “complete” meaning it contains all the essential amino acids. It also contains a wide variety of vitamins, phytonutrients, antioxidants as had been show to to help speed recovery from exercise induce stress. I typically add it to my morning smoothie, it doesn’t taste great so it’s not really something you’d drink on it’s own. I do sometimes add it to a huge glass of water with lemon though and that’s usually enough to mask the taste. I use chlorella as well, you can check that out as an alternative. Both are available as powder or capsules. High in protein and healthy fats like omega-3‘s and low in carbohydrates, hemp seeds are a must have on a vegan IIFYM diet. I usually 1-2 tbsp to my morning oats but you can also add them to smoothies, sprinkle them on salads, add to desserts or just eat them with a spoon! High in fibre and vitamins, energy-providing, low-fat, delicious carbohydrates to fuel all your workouts and keep your satisfying. I eat 1 serving, or 1/2 cup, of oats per day and I look forward to them every single time! On Sundays I like to prep a weeks worth of overnight oats. I don’t add the liquid until the night before I plan to eat one, I just divide my oats, chia seeds, hemp seeds and other additions between 5 containers and stick them in the cupboard, then each night I just pull one out, top it with almond milk and stick it in the fridge to be ready for a healthy, filling and delicious breakfast! Get yourself some meal prep containers! Getting enough protein while keeping your carbs and fat in check will be your biggest challenge with plant-based flexible dieting. A lot of higher protein plant-based foods are also high in carbohydrates. Tofu is well-balanced and you’d be hard pressed to get by without eating it at least a few times a week. You can use extra firm tofu to add to your savoury dishes or make awesome vegan ricotta, or use a soft tofu to make healthy, high-protein vegan desserts. I recommend stocking up on a few blocks of each every week. Since they take a bit of time to cook, I like to prep a big batch of lentils on the weekend to to add protein to my meals throughout the week. Lentils provide about 9 g of protein for 116 calories and almost no fat, making them an awesome addition to a plant-based IIFYM diet. Lentils are also high in fibre and also provide a huge amount of micronutrients such as magnesium, folate and iron. They’re also inexpensive and can be used in a wide variety of dishes. I often just add a scoop to my salads for nice boost of protein! You gotta try my Coconut Red Lentil Dahl! I used to use a lot of maple syrup as a sweetener but add a few tablespoons of it it to your day and your carbs will be gone before you know it. I cut out maple syrup and switched to organic stevia drops as a sweetener, I only use it a little here and there, usually when I want a sweet treat at night but want to stay within my macro goals for the day. That being said, if you get to the end of the day and need to eat more carbs, sure, reach for the syrup! Berries are highly nutrient-dense and fairly low carb as far as fruit goes. I eat 1 serving of mixed berries every day for the micronutrient benefits as well as the yummy, sweet treat! I like adding them to my morning oats, or sometimes use them to make a dessert in the evenings. I like to keep my pantry stocked with a variety of vinegars for making dressings and sauces. They’re a great way to add a ton of flavour without adding any additional macros to your day. My favourite are apple cider vinegar, balsamic vinegar, rice vinegar and white wine vinegar. I use them daily in homemade salad dressings. Edamame is a fantastic high-protein, low-carb food that you can enjoy on their own or add to all sorts of dishes. I like to make a big batch on Sundays to enjoy throughout the week. Don’t forget to stay hydrated all day long! It’s also a good idea to drink a big glass first thing in the morning as well as before going to bed. In the morning, I like to add apple cider vinegar to my water to help alkalize my body and kick start digestion. So those are some of the foods that have been working for me. There are a lot of “fat-free”, “sugar-free” this and that foods out there that some people use to hit vegan macros, however I prefer to keep my diet as whole-food based and as natural as possible. I would rather go slowly eating whole foods than reaching my goals by eating highly processed foods. I was already eating this way before I started counting macros so it really wasn’t a big change for me. I just became a lot more aware of portion sizes and the proportions of macros I was eating. You’ll have to experiment and see what works for you, just keep nutrient-density in mind and stick to performance-based goals and you’ll be fine. As for supplements, which are just the icing on the cake of a nutritionally-sound diet, I do use a number of them to help support my training. I consistently use creatine, BCAA’s, fermented l-glutamine and a few different forms of protein powder. I also take calcium and magnesium and use a vegan omega-3 supplement, my favourite is Ascenta NutraVeg. If I had to take one only thing, that might actually be it. I find it to be a key factor in preventing joint pain. 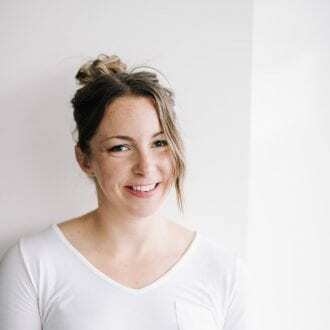 I also regularly include superfoods like chia seeds, maca, cherries and turmeric for the huge range of health benefits they offer, especially as an addition to a plant-based diet. Aside from those, every day I try to eat a lot of fresh vegetables and fruits in as many colours I can get, which helps me get a wide range of antioxidants, vitamins and minerals, improve my energy levels and just feel wonderful in general. Don’t forget guys, flexible dieting isn’t about restriction or sacrifice, it’s about using food as tool to reach your performance goals. There is room for treats and indulgences and it’s not a big deal if you miss a day, just get right back to it the next day. Unless you’re cutting weight for a competition, for most of us long-term, slow and steady progress is the way to go. It’s doable, it’s enjoyable and personally I’ve found it to be highly effective. Hit me up on social media, @runningonrealfood, if you have any questions! What is that meal in the first picture shown under “Banana”? 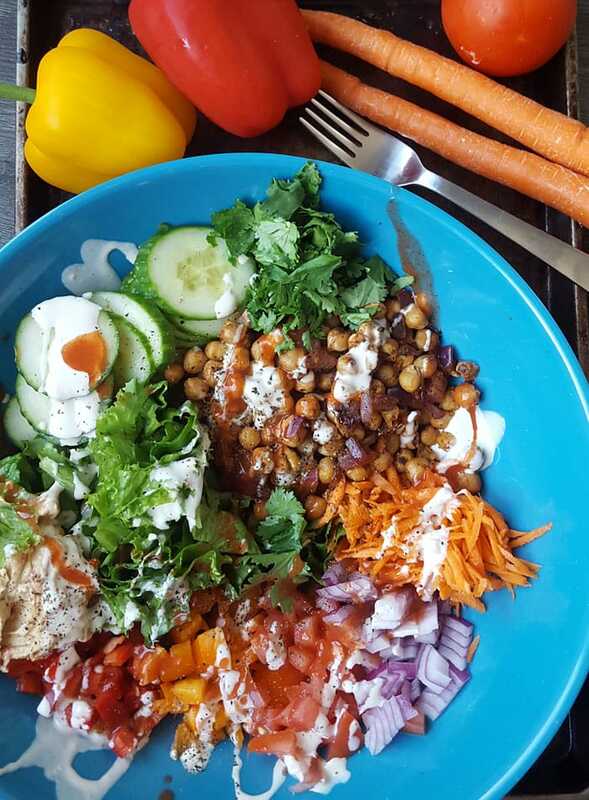 A bunch of veggies, hummus and chickpeas drizzled with hot sauce and tahini! Thanks for sharing this, it’s really helpful. Plant based proteins are very helpful! I’m thinking of doing a bit IIFYM when I transition to a plant based lifestyle! If you go in to the week two post of this series, I do list about 4 days worth of meal plans. Check it out! 🙂 good luck! Really helpful post. Thanks for sharing it with us, Deryn! For banana, do you weigh it with peel or without peel? I weight it without the peel. Do you have any tips or resources to suggest for beginners with counting macros?! Thank you! Saving this article for future reference, thanks again! Hello, Is it true that nutritional yeast is pure MSG? No, that is not true. ???? Thank you for this post!! I’m transitioning from a “regular” IIFYM diet to a plant based diet and I’ve been struggling with how to stay within my carbs and hit my protein! Wow, it is difficult without my go-to staples of chicken breast, Greek yogurt, etc. I’ve found this post most helpful thus far – thank you!! I’m also going to try adding MCT oil to the mix. I look forward to learning more from your other posts!! Thank you so much for this informative post. I will definitely bookmark this page. I’ve been counting my macros for about a week now. I usually eat a salad for 1 of my daily meals, however, the dressing adds a lot of fat to my macros (1 TBSP of olive oil and 1 TBSP of apple cider vinegar). On your post you mention that you make your own dressing. Do you mind sharing? 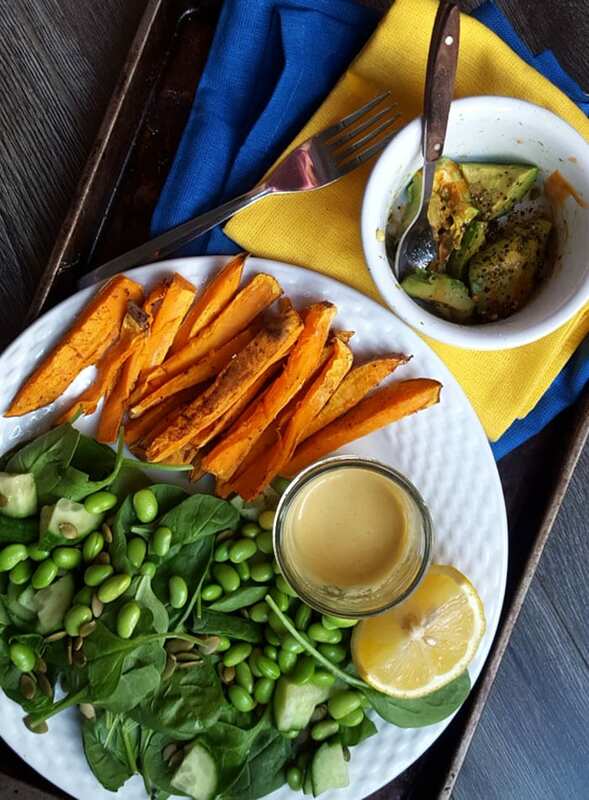 I usually do a tahini dressing with tahini, water, lemon juice and garlic powder. For a calorie-free dressing, you can do dijon, balsamic and stevia. Sometimes I’ll do a herb dressing with fresh herbs, garlic, lemon, water, vinegar and sea salt. You can switch it up with dijon too.